How to block YouTube channels permanently | ComTek Computer Services Inc.
One of the most annoying features of the video portal YouTube is its recommendation feature. Whenever you open the start page on the website, you see a mix of channels you are subscribed to and recommendations based on your location in the world and the selected regional version of YouTube. If you are not subscribed, you only get recommendations. While it may make sense to feature popular channels from a region to users, it can become annoying quickly as channels are rarely swapped out. This means that the same channels and pretty much the same videos published to those channels are displayed to you on the site. While there is a way to block recommendations from select channels, it is only working if you sign in to your YouTube or Google account as it is using a block list for that. 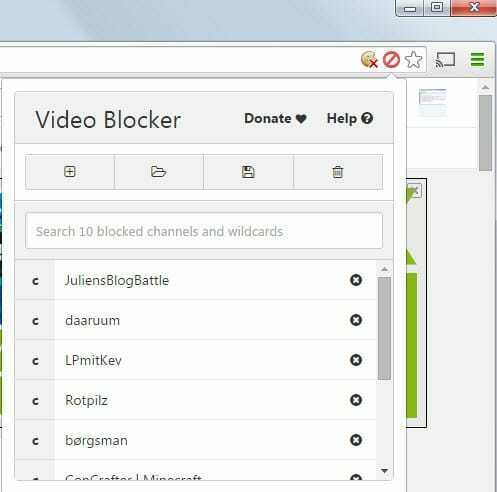 The Chrome Extension Video Blocker introduces a new option. While it won't remove channels from YouTube, it will hide all videos by those channels instead. After you have installed the extension you can use it in two different ways. You can right-click any channel link on YouTube, for instance those displayed on the site's frontpage, to block all videos from that channel. The screenshot above highlights the context menu option and how channels are displayed once they are blocked. As you can see, only the channels name and other header information are displayed, while videos including thumbnails, titles, publication date and views are not anymore. The second option that you have is to click on the extension icon in the address bar. It is only displayed when you are on YouTube and displays the channels that you have blocked so far with options to unblock them again. A search is available which you can use to find blocked channels, and there is also an option to add a channel manually to the block list by adding its name to it. The blocked channel list can be saved as a csv file to the local system and imported again to the same system or another one running the extension at any time. Videos of channels that you have blocked on YouTube are not show on the front page anymore, but also on other locations on the site including search results. Note though that videos can still be loaded by following direct links or through playlists. The extension is therefore primarily useful for blocking video recommendations and videos in the search results.